Let’s see that poise in the copy! Sam Darnold wiped away the indignity of starting off his NFL career with a pick-six with a poise and calmness reserved for special players. Whether it was hitting Quincy Enunwa on a key 3rd down later in the first quarter that ultimately led to a score or his first career touchdown pass – a 41-yard strike to Robby Anderson – Darnold was back to his typical poised self after the nerves subsided. 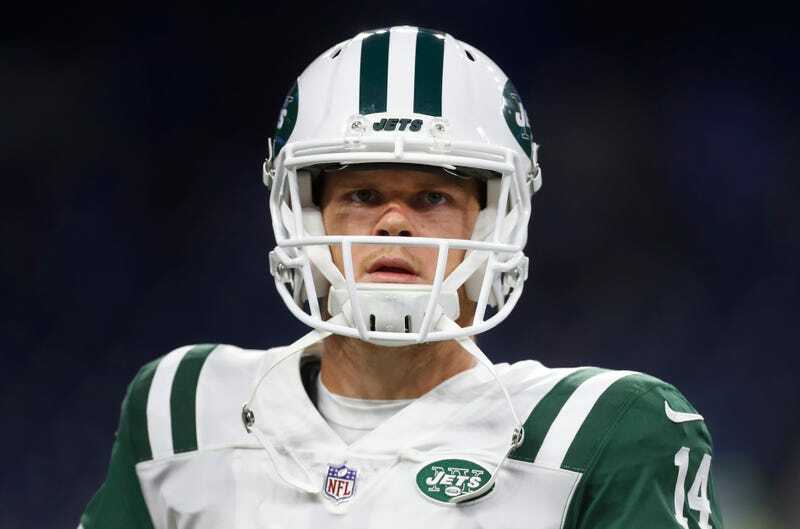 For months, the Jets praised Darnold’s poise and mental toughness, saying those traits would serve him well when adversity strikes. They just never imagined it would happen on the first play of his career. Darnold admitted he was nervous on that interception, but he refocused after he went to the sideline. When he came back, he displayed poise and resilience and his trademark mobility, leading three first-half scoring drives. From that point forward, though, Darnold showed a ton of poise, which is a necessity for a rookie quarterback. “I knew he had poise,” Bowles said.